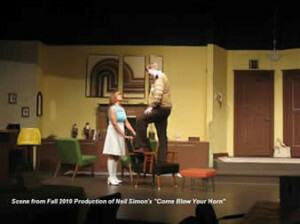 The Winner Community Playhouse will hold auditions for the spring production on Jan. 9 at 7 p.m. at the playhouse. The play will be directed by Sandra York. Persons who come to the audition are asked to bring their personal calendars. The production dates have been set for March 9, 10, 11, 16, 17 and 18. Persons who have questions can call York at 842-2397. The Winner girls basketball team defeated Parkston 64-49 on Dec. 22. Madyson Frazier led the scoring for Winner with 15 points. She was followed by Sydney Hollenbeck with 13 points and Bella Swedlund with 10 points. The Lady Warriors had a strong second quarter as they outscored Parkston 23-9. At the end of the first quarter, Parkston led 18-11. 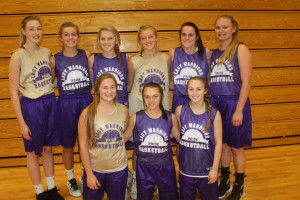 The Lady Warriors pulled down 29 rebounds and were led by Morgan Hammerbeck with 7 and Chloe Bartels with 6. The Lady Warriors shot 44 percent from the field and made 18 of 22 free throws for 82 percent. Winner was nipped by Sully Buttes 60-55 in a game played in Winner on Dec. 19. Swedlund led the scoring for Winner with 16 points with Hollenbeck adding 10 points. From the field, Winner shot 47 percent and made 5 of 6 free throws for 83 percent. Hammerbeck pulled down 6 rebounds. On Dec. 15, the Lady Warriors fell to Burke/South Central 58-51. Swedlund scored 10 points followed by 8 each from Frazier, Kocer, Marts and Hollenbeck. From the field, Winner shot 23 percent and made 19 of 31 free throws for 61 percent. The next action for Winner will be in the Snowball Classic in Winner on Dec. 30. 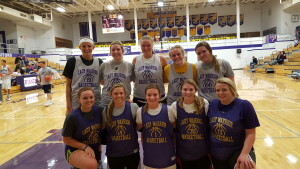 The Lady Warriors will play Hill City at 6 p.m. Winner boys basketball team was defeated by Parkston 58-49 on Dec. 22. Cameron Kuil scored 15 points, Drew DeMers, 13; Isaac Naasz, 7 and Trevor Bertram, 6. Naasz pulled down 11 rebounds and Kuil, 8. The Warriors were 13 of 31 for 38 percent from the two point range and made 6 of 28 three pointers. At the free throw line, Winner was 7 of 11. Gardner says the team needs to get ready for the Hill City game. 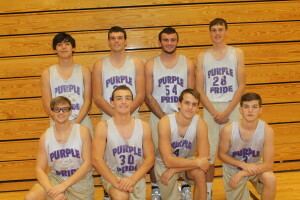 Winner will play Hill City in the Snowball Classic in Winner at 7:30 p.m. on Dec. 30. 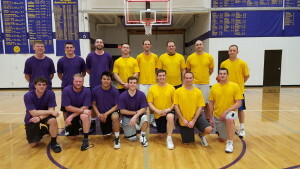 The Purple team defeated the Golden Oldies 96-80 in the 23rd annual Winner Warrior alumni game Friday night. Ben Connot scored 27 points, Zach Horstman, 20; Nathan Galbraith, 12; Tanner Fritz, 10. Leading the Gold team were Blake Tideman, 27; Tyler Kucera, 17 and Jordan Sinkler, 16. 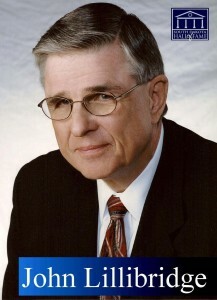 John Lillibridge of Burke is one of 13 former basketball players who will inducted into the South Dakota High School Basketball Hall of Fame. The eighth annual induction ceremony will be at 1 p.m. on March 25 at the Ramkota Hotel in Sioux Falls. Lillibridge achieved career totals of 1,984 points and 1,008 rebounds for the Bulldogs. 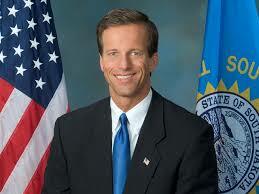 At the University of South Dakota he played basketball and was a record setting discus thrower. 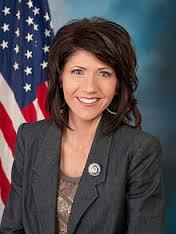 Tammie Pettit was born to Margaret and Ralph Pettit on June 5, 1961 in Colome, SD. She was the youngest of 14 Children and was a life-long resident of Winner, SD. 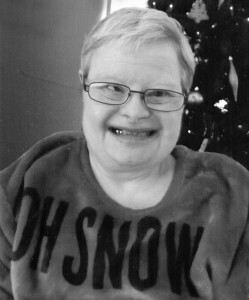 Although Tammie was born with Down’s Syndrome, those who knew her will tell you that it did not stop her from living a full life surrounded by people who loved her deeply. Tammie loved her life. Some of her favorite things were bowling, going to the Dairy Queen for a large Coke, and a caramel sundae and shopping on Main Street. Tammie was a member of the Catholic Church and celebrated service every Saturday in her favorite pew in the front of the church. Tammie was employed by Winner Immaculate Conception Church for most of her life. Toward the end of her life, she lived near her sister Dottie and enjoyed trips to the zoo and butterfly house near Sioux Falls and shopping trips with her sister and her sister’s grandchildren. We will all remember her big smile and sense of humor. Whenever she knew she was being difficult (which could be often!) she would be smile and say “I luv ya!” We will also remember her stubborn streak. Tammie knew her own mind and would tell you exactly what she thought. She was strong-willed, independent, and was unyielding in leading her own life. On December 16, 2016 Tammie went home to her mother and father. She was preceded in death by her sisters Mavis O’Bryan, Loyola Eckstaine, Mary Zimmerman, Bobbie Sell, and Marjean Pettit; brothers Ralph Pettit, Jr., Bill Pettit and Gordon Pettit; brothers-in-law Lloyd Eckstaine, Richard O’Bryan, and Gary Sell; and two nephews Ryan and Brett Sell. She will be missed by her sisters Nancy Edwards, Patty Wegehaupt, Carol Herrmann, and Dorthey Olsen; brother Doug Pettit, and many nieces and nephews. Each year around the holidays, Jean and I like to reflect upon all of our blessings. We are incredibly grateful for our family and friends, our good health and the fact that we get to call South Dakota home. We are looking forward to spending Christmas with our loved ones, including my dad Grandpa Don and his wife Rosemary, Jean’s parents, our four kids, their spouses, our eight grandkids and all of our extended family members. For as long as I can remember, our family has always gathered together after the 5 o’clock Christmas Eve mass at Ss. Peter & Paul Catholic Church in Pierre. We look forward to celebrating the holiday at our house with our family again this year, and continuing to tell the story of Christmas and reflect upon what is truly important this holiday season: family, friends, and the birth of our Lord and Savior Jesus Christ. It is also important during this time to express our gratitude to the men and women in uniform who may be spending the holidays far from home. Because of their service, the United States is the greatest, freest, most prosperous country in the world. I recently had the honor of attending a welcome home ceremony in Sioux Falls for the 196th Maneuver Enhancement Brigade, and it was heartwarming to see families reconnect after spending nearly one year away from each other. We wish all of our servicemen and women, and their families, a blessed holiday season, and we pray that they will all be together again very soon. For some, the holidays can be a challenging time of year. Showing kindness to our neighbors—and to strangers—costs nothing and can make a difference in someone’s day, week or even year. We have so much to be grateful for as South Dakotans and Americans. During the Christmas season, we are encouraged to spread the message of peace on earth and goodwill to all. This is a message that we should remember throughout the rest of the year as well. 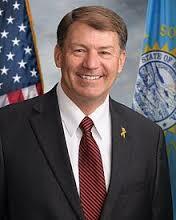 Once again, I would like to wish all South Dakotans a very blessed Christmas and peace in the new year. I thank those of you who took the time to write, call or meet with me as I traveled across the state. It is an honor to work for you in the United States Senate. Thank you for all you do to make South Dakota the best place in the world to call home. One of my favorite times of the year farming was the day we started to put the seed in the ground, because on that day, the seed had every opportunity to produce a high-yielding harvest. The next few months would require hard work to help that seed mature – and we’d need to pray that factors outside our control would cooperate as well – but that was all yet to come; planting was a day of hope and opportunity. Each new year, we find that same sense of optimism about what’s to come, and perhaps nowhere is that truer for 2017 than in Washington, D.C., where the new year will bring a new Congress, a new administration, and a new hope for the future. The repeal of Obamacare will likely be one of the first seeds planted in 2017. For years, our efforts have been shut down by Senate Democrats or vetoed by the president, but we now have a path to repeal. At the same time, we have been working openly and collaboratively to assemble a replacement for Obamacare that fundamentally decreases the cost of healthcare, increases access and affordability, protects coverage for those with pre-existing conditions and our young people, and gives you the peace of mind that your most intimate financial and health decisions can be made by you with the consult of your doctor. While the next Farm Bill isn’t expected to be finalized until 2018, the hearing process is expected to begin in 2017. We have already begun writing some of the new policies that ought to be included, but we’ll continue collecting feedback and ideas throughout the next year. Comprehensive tax reform is another 2017 priority for both Congress and the president-elect. In 2015, I became the first South Dakotan in history to earn a seat on the House Ways and Means Committee, which is the committee that specializes in tax-related reforms. We’ve been focused on writing a new tax code that is simpler, fairer, and more accountable than the one that exists today. President-elect Trump and Congress also have fixing the regulatory environment at the top of our New Year’s resolution lists. Some of these regulations can be repealed by the administration acting alone. Others will require congressional action. Either way, it’s a must-do beginning this January. We will also continue our efforts to reform the Indian Health Service, expand the Black Hills National Cemetery, keep the D.C. Booth Fish Hatchery open, increase support for the Lewis & Clark rural water project, maintain services at the Hot Springs VA Hospital, and ensure anti-human trafficking efforts have the support they need. Supporting the administration on national security and border security issues will also be a priority. There is plenty of work to be done to make sure these seeds of opportunity produce a harvest in 2017, but I am encouraged by the outlook. This New Year, I hope you too can find the hope and optimism that defines this season. On behalf of my entire family, I wish you the best in 2017. 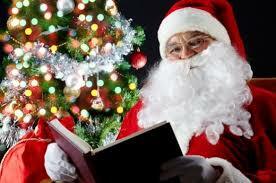 Santa Claus will visit the Tripp County Library on Friday, Dec. 16, from 3:30 to 4 p.m.
All children are invited to come and visit with Santa.